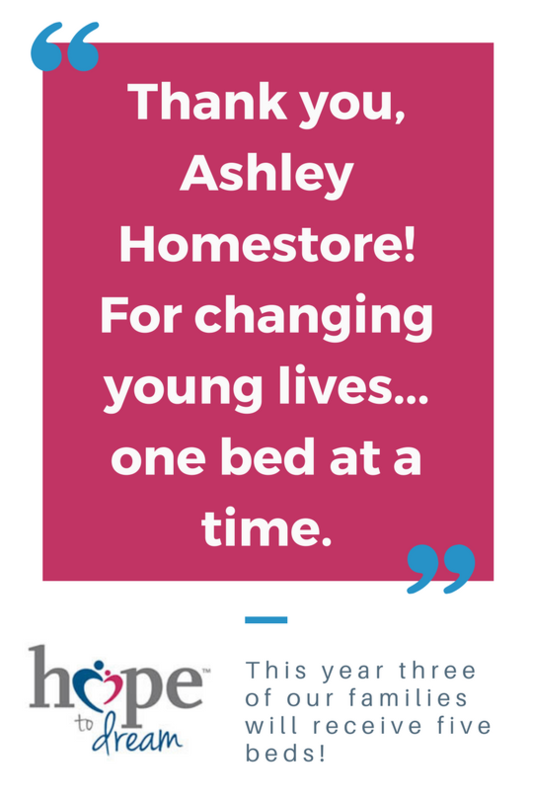 Ashley HomeStore believes that every child should have a bed to call their own. A portion of your mattress purchase at participating Ashley HomeStore locations goes toward Hope to Dream. Ashley HomeStore has delivered more than 50,000 beds to children and their families. They provide a twin mattress, bed frame, bedding and pillow (a $399 value) to a deserving child; a child who might otherwise suffer the negative physical and emotional effects of sleep deprivation.